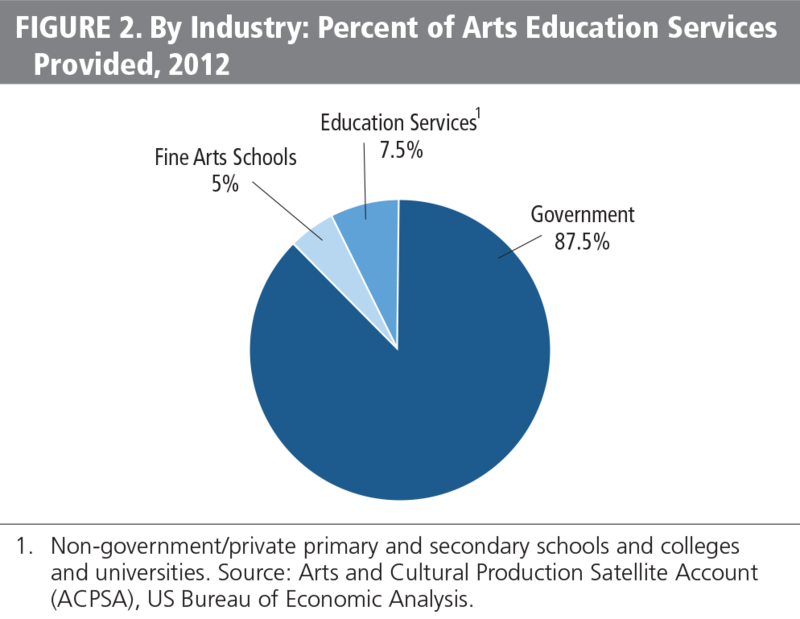 Information from the Arts and Cultural Production Satellite Account reveals that in 2012, 87.5 percent of arts education services provided in the United States came from government. 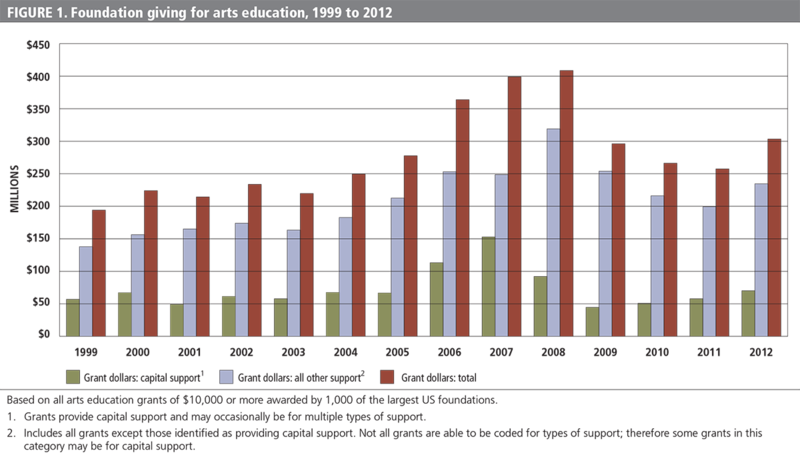 When we place these data alongside the GIA report statistic that 4.4 percent of all funding goes to elementary and secondary schools, a picture emerges of the realm of funding for K–12 public school arts education, one that is primarily painted by the fractional amount that private funding brings to K–12 public school arts education. Consequently, funders need to think carefully about how their funding can leverage government dollars. Both strategy and tactics are critical in this regard. From the vantage point of equity, the economics of public schools dictate that programmatic funding can never result in all students receiving a quality arts education. It is fascinating to consider the GIA report’s definition for advocacy: research on the role and effectiveness of arts education and advocacy to expand and enhance its influence. Speaking from experience, I see a tendency among arts education colleagues to overstate their work in advocacy and policy. There is lots of soft stuff going on, such as the sharing of Americans for the Arts policy pieces and one-day trips for “lobbying day.” But the real work of advocacy and policy is a long way off, partly due to the reluctance of funders to embrace the NCRP recommendations or LaMarche’s missive about the importance of this work. Some of the reasons why this area has been slow to emerge have to do with concerns around concrete results, confusion around what is allowed by law, and a general fear of conflict. According to CAE’s federal Form 990, in 2012 they had a total staff of 15, total revenues of $1,957,375, and total expenses allocated to advocacy of $356,528. The full version of this article is available on the Grantmakers in the Arts website.